As your experience in fishing increases, you will be making more sophisticated choices with your fishing hooks. 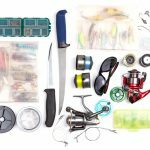 Choosing fishing hooks can be as simple or as complicated as you want, but one thing is for sure, it is normally an enjoyable part of fishing, especially for those who are targeting a specific fish they haven’t managed to catch yet. There isn’t really a “correct” fishing hook as much as there is a “better” fishing hook, and even that can change on the day. The choice of the hook has a number of influencing factors, which include the size of the mouth of the fish, the strength of your fishing line, drag, rod and reel characteristics along with the size, shape and weight of the bait, will all be influencing factors. 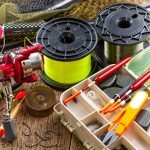 That doesn’t mean you can’t simplify how you choose the correct fishing hook when getting started. If we think what a fishing hook needs to do, then we can simplify our process of choice. The first thing we need is a sharp hook because the first thing a hook needs to do is penetrate the fish’s mouth. Secondly, a hook needs to have the strength to maintain its own shape under pressure. In summary, start looking for a sharp hook that is strong enough to suit your fishing goal at that particular time. Finer gauge fishing hooks are normally sharper and great for setting the hook but they are more likely to bend under pressure. On the other hand, thicker gauge hooks are suitable for fish with tough jaws and loads of strength. These hooks normally need a few strikes (quick pulls on the rod) to ensure the hook is set well enough. The best hook is one that is practical for the bait you are using. You can catch a big fish on a small hook but you can’t catch a small fish on a big hook. 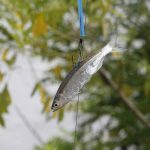 That’s why it always pays to go with the smallest hook that is still practical for the bait you have chosen – which should suit the fish and the size of its mouth. The nature of smaller hooks makes it easier to get the right weight bait and set up a better presentation for your bait. 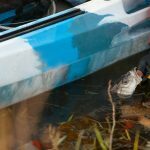 Choosing a better hook gets a little more complicated when you are targeting fish over 5 kilograms because additional pressures come into play, just as choosing the right trebles for lures is a little more difficult. But one thing is a must, and that is having a sharp hook. You can test the sharpness with your thumbnail. Move the hook point across your nail. If it grabs, the hook is sharp enough to keep using. If it is not, it is time to get another hook. Kirby hooks are extremely popular in Australia for both saltwater and freshwater fishing. The general purpose design and extensive range of sizes available make them one of the most popular hooks for bait fishing. Size 2, 1, 1/0 and 2/0 are good for inshore and estuary fish such as Bream and Flathead, while also suitable in freshwater for Golden Perch and small cod. Size 3/0, 4/0 and 5/0 are good for slightly larger and stronger fish, including Coral Trout, Jack, Snapper and Mackerel. The bigger sizes, such as 6/0, 7/0 and 8/0 are good for Barra, Jewfish, Kingfish and just about all reef species. Baitholders are designed specifically for bait fishing, with two obvious slices on the shank of the hook to hold bait better for better presentation. The eye is turned-down and the chemically sharpened points are good for fish strips, prawns and worms. The baitkeeper is almost identical to the baitholder except that it has a straight eye configuration, not angled like the baitholder. Again, they are good for fish strips, prawns and worms. 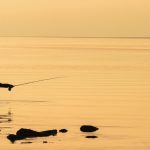 Long shank hooks are commonly used when estuary fishing for Whiting and Garfish, while the smaller sizes are good for catching small baitfish. With 12 sizes, long shank hooks offer considerable options. For example, the larger 1/0 and 2/0 sizes are popular with those chasing Flathead. The longer shank also makes it easier to remove the hook, which makes this hook pattern good for beginners and kids. Ganged hooks are setup by running one hook through the eye of the previous, creating a long, multi-hook option. 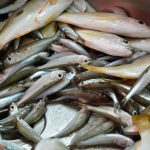 Ganged hook setups are good for baits, such as whole pilchards, slimy mackerel and squid for targeting Flathead, Mackerel, Tailor and Snapper, as well as going after a number of reef species. Reef anglers looking for a strong hook to use with larger fish or squid bait strips often go with larger sizes of O’Shaughnessy hook. The smaller sizes are good for those fishing on standard bait tactics when estuary fishing while the extra shank length and inline hook is good for surf fishing for species such as Tailor. This thick wire and short shanked hook is a good heavy duty choice of bait hook pattern with the strength and durability to cope with longer fishing battles. For example, live bait hooks are a good choice when fishing for Tuna, Coral Trout, Kingfish and Trevally. The straight eye and in-line point make them ideal for trolling nose-rigged live baits while also a good choice for cube baits. Circle hooks have become increasingly popular with anglers in recent years because the hook is good for catching fish without the hook being swallowed. Compared to other hooks, circle hooks are better for keeping fish alive, especially for catch and release fishing. Circle hooks result in fewer gut hooked fish. The big advantage of the circle hook is that setting the hook is often not necessary and they are worth consideration if you fish natural or artificial baits.